Dr. Bruce is not the first, nor will he be the last to question Scriptural teaching on eternal punishment, or even question the veracity of the Bible’s authority. But he will be among those that are sadly mistaken. First of all, Darwin evolution is not a fact, but a theory. One in which some of its basic tenants are disputed by many scientists today. Of course, when one doubts the authority of God’s Word, then any Biblical doctrine is open to dispute from the doctrine of Creationism to the teaching regarding eternity. Jesus spoke frequently about Hell and never called it a “concept.” Instead, He identified it as a reality. 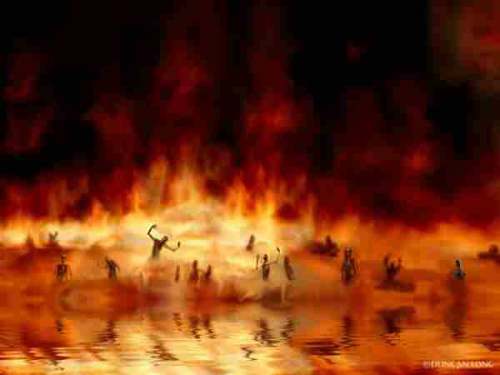 Jesus described Hell as a “blazing furnace, where there will be weeping and gnashing of teeth” (Matt 13:42). The Bible is clear. Hell is a real place. It’s not the figment of the imagination of a fundamentalist preacher. Hell is a place where those who deny God and refuse the gospel message will reside. Hell is a place of suffering and torment. The metaphor of “fire” says it all. Hell is a place of pain. And Hell is eternal. It lasts as long as heaven does. For eternity. God is a God of love and mercy, but also one of justice and judgment. Paul, in the book of Romans, often speaks of “the wrath of God” inflicted on sinners who refuse to obey His Word. God doesn’t want you to go to Hell. But you may, if you reject the authority of His Word. Choose life. Accept Christ. And live to receive the Heavenly reward. Thanks for the great insight and speaking the truth. Hell is real and we should work hard to get the life saving good news of Jesus out.